Have you checked out Ministry of Supply? 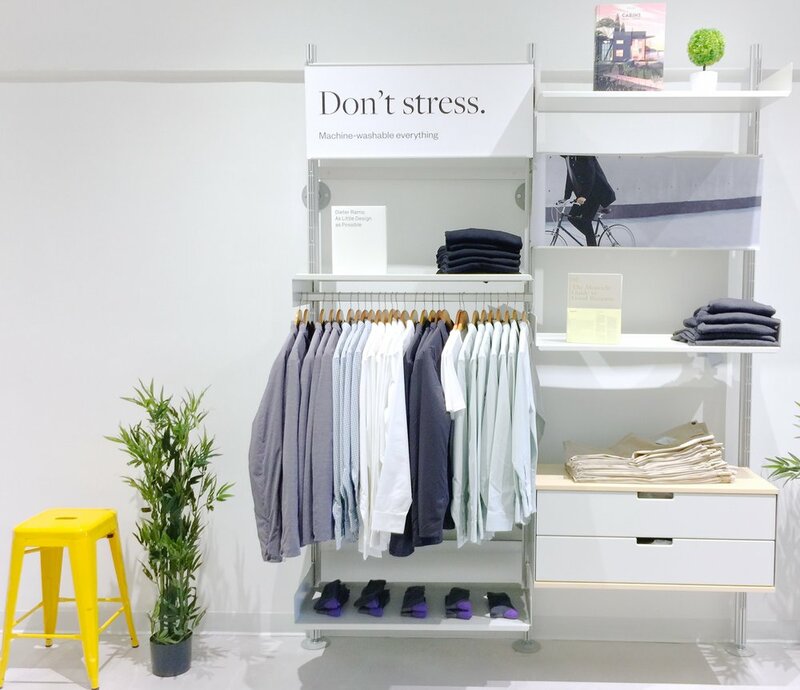 One day I was walking past this new boutique in downtown Bethesda and I was intrigued with the beautiful minimalist boutique design and even more so by the clothing which features washable, wicking, stretch fabrics, tailored in work ready styles. I had the chance to learn more about this clothing line, how the company was started, and the mission of the company. "The mission behind Ministry is to identify real life problems that traditional work clothing presents, then use performance fabrics, innovate construction, and purposeful design to create pieces that are in sync with how people live today." Genius and love this! What I loved most about the men's and women's collection is that there aren't too many styles and too many pieces to choose from. It's more like a curated work capsule collection and the pieces are wearable and all the hard work has been done for you. This blouse delivers the drape and feel of silk -without any of it's hassles. It's a polished shirt you don't have to worry about. My blouse was gifted by Ministry and this review and all opinions are my own.